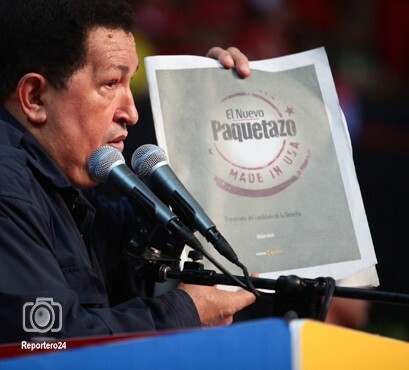 Y’all didn’t think Chávez would do anything so crass as to actually announce his paquetazo, did you? Of course not, that would be neoliberal. October primary spending of the central government declined 12.9% year-on-year in nominal terms and 26.1% in real terms. The decline is even more marked if we center on the four weeks after the election (22.3% in nominal terms, 34.1% in real terms). This pattern contrasts heavily with the increase observed in the first nine months of the year (47.3% nominal, 20.5% real). Though some week to week volatility is common in the spending data, the pattern is clearly indicative of a break in trend, as this is the first time in the year in which we see a yoy decline in real spending sustained over four straight weeks.